It's been a long hard winter and with spring right around the corner it's time to think of potting up a few house plants to help keep the indoor air free and filtered. If you start now you will have them well established by next fall and winter when they will really be helpful. As we all know potted houseplants have a natural filter system that helps keep indoor stale - fresh. This has been studied by NASA scientists as a way to create a suitable environment in space. All potted houseplants filter air even if they don't flower. They can remove up to 90% of chemicals and toxins in the air. Amazing stuff! Here is a list to help you get stated. Most can be potted up rather easily and used indoor. You can use a natural terracotta clay flower pot or compliment your home decor with a bright glazed planter. It's not the pots that count it's the plant materials. So here goes. Aloe Vera - We all know this one. Not only removes formaldehyde from the air but it's gel is great for burns. Rubber Plants - Hardy house plants that emit oxygen that removes toxins from the air. Boston Fern, which most of us like for it's leafy delicate fronds but is know for being the BEST air humidifier. Fiscus. We have all had a fiscus around the house. When potted, they add so much color and life to any corner in your home. These houseplants will purify the air. So, find a garden pottery or planter that makes you smile, pot up one of these houseplants and keep the air in your home clean and purified. 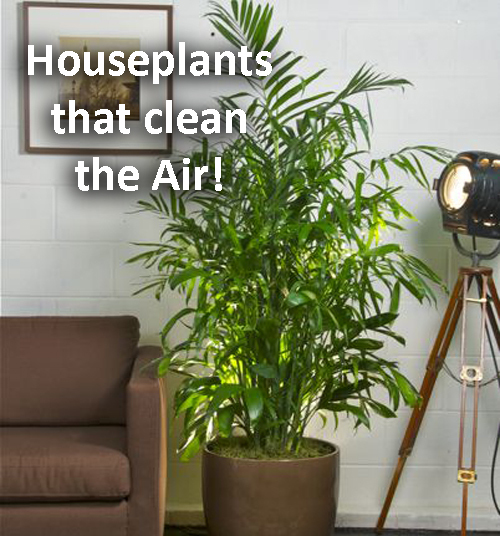 Air Purifier House Planter, Potted Plants & Trees to purify indoor air. Planter houseplants for indoor air quality.